A super basic shipping module for store pickup. This module supports Fixed handling fee or Percentage. No real bells or whistles! If you are looking for a module that uses a customer group as pickup locations and does a GEO location lookup to match close stores to the current customer, check out our GEO module here! When you have a physical store, your customer can reserve a product before they come over. Customers who live nearby can have their products quicker and save on postage fee. Improves customer relationships when you get your online customers in your offline store. Easy-of-use: No real bells or whistles! Productivity: eliminates the need to ship products. We maintain the extension and keep developing further while you use it. As soon as updates are available you will be the first to know. You should always backup your database & installation files beforehand to be prepared to revert in case this module has adverse effects on your system.. For more instructions on how to backup your installation please refer to these instructions. Please read all instructions before you start so you understand all the caveats of installing this module. This is a Store Pickup Module for magento, it offers basic options for allow a customer to get your store address & store hours so they can schedule a time to pickup their order. Let's begin! 1. You must have FTP access to your server. 2. Extract the archive to your local computer. 3. 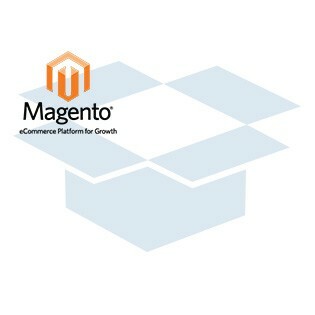 Open the Magento root folder, upload the app folder. 4. Ensure when uploading that you do not overwrite your copy if you needed to apply a patch. 1. Log in to your Magento admin panel. 2. Click 'System' > 'Cache Management'. 3. 'Select All' and 'Refresh' all cache. 4. Next click 'System' > 'Configuration'. 5. Scroll down, on the left side navigation in the 'Sales' group click 'Shipping Methods'. 6. Select 'Store Pick up' from the list of Magento shipping options, enter your details and costs for the module. 7. Select ‘Save Config’ to save your settings. 8. Place a test order to verify the shipping module shows up and is functioning properly. 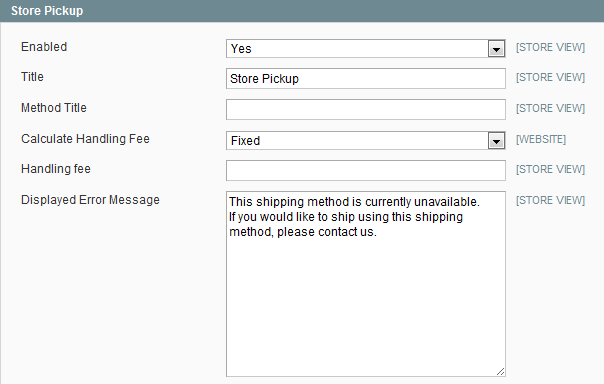 You will see the shipping option on the front end checkout as well as the admin backend order system.